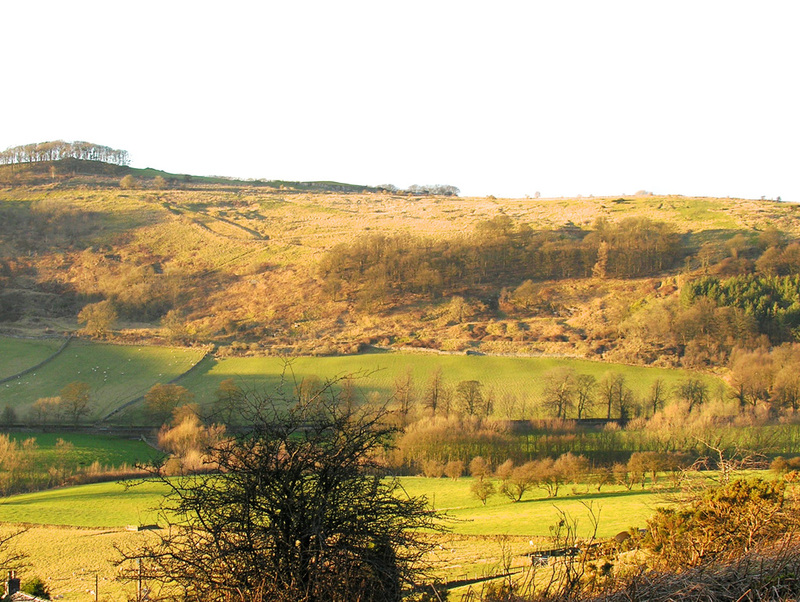 Lead has been mined in the White Peak for millenia. 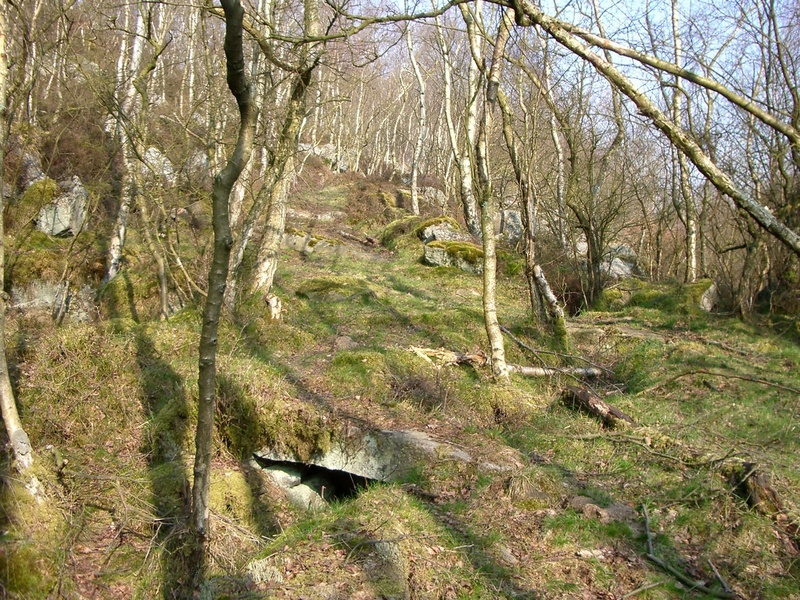 The nearest mines to Baslow are at Longstone Edge. Surface remains can be seen across the centre of the photograph. 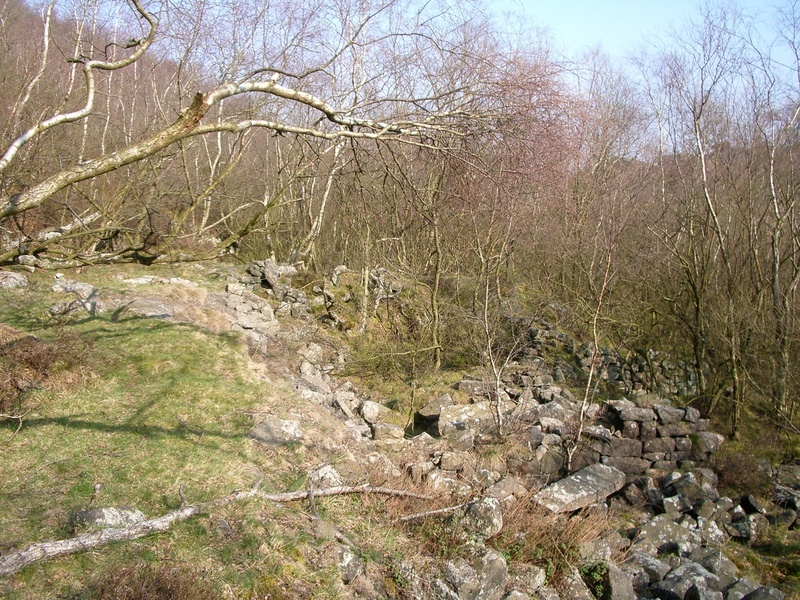 Wood for smelting became scarce in the white peak, so ore was taken to areas such as Baslow where supplies were more accessible. The site off the Owler Bar road was established in the late 1500s befoe it became a flour mill in the late 1700s. 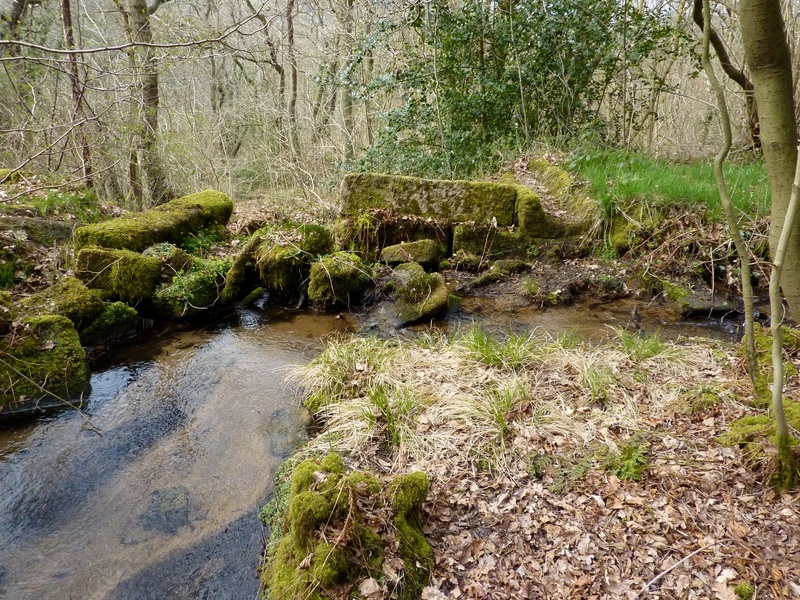 Leading from this upper smelting site, there is a path and a leat (water channel) leading to another site 300 metres downstream. 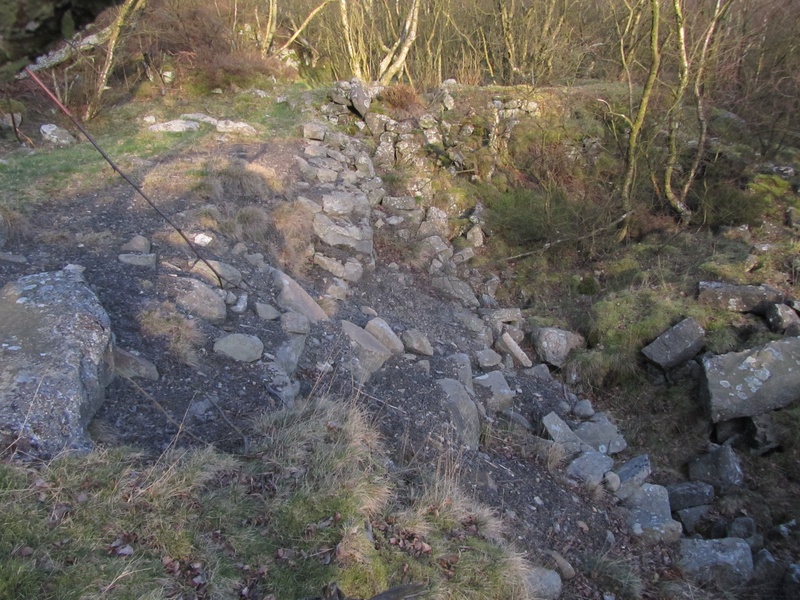 The photo shows the bridge where the path crosses over the leat.